After making a voyage through the Earth’s history, the visitor can lose him-/herself in the green inland valleys where more recent time seems to have stopped for ever. Here it is possible to enjoy the roots of one of Europe’s oldest peoples and visit the best set of cave art horses on the planet found at the Ekain cave, which has been declared a World Heritage site. 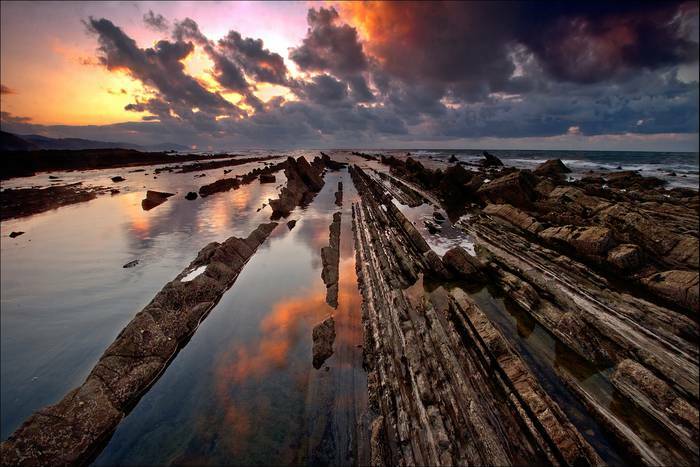 The Basque Coast Geopark is a lesson that leaves no one indifferent. Here time, the earth, life and our own species are the main players. Discover it!